Photography may seem like a boring hobby to some, for all the technical terms (pardon me if I’m generalizing!) Yet, it is really just about capturing the emotions of the moment and making your viewers feel it too. Well, I’m not saying crappy pictures with bad lighting and positioning and all that stuff are good, but I guess we may be too caught up in the technical details of taking pictures that we forget to just let loose and have fun! Exposure is often a very important aspect in photography as it can dramatically affect a finished picture. Yes it can either ruin a picture or make it breathtaking. Hence in this article, I am gonna help you better understand the concept of exposure and hopefully help you master it! The key to mastering exposure is to practise practise practise! This is by snapping pictures, reviewing them, changing your camera settings again and reviewing them again. It’s an ongoing learning process and soon you’ll get the hang of it and know roughly what settings you should apply even before you take the picture. Let me give you a brief explanation on exposure first to help you with that. In photography, exposure is the total amount of light that is allowed to fall on the photographic film or digital image sensor when you are taking pictures. This is controled by manipulating the settings in the camera so that your camera controls the amount of incoming light that falls on the sensor. The four main factors that affect exposure are light (of course), shutter speed of your camera, ISO, and the aperture of your camera. 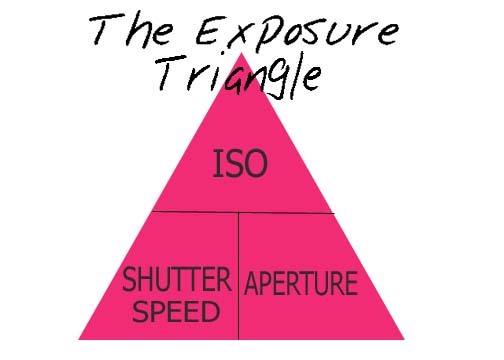 This can simply be illustrated by the famous exposure triangle you see in the diagram (Okay I left out light cus it’s obvious and it doesnt fit into my triangle). Here’s a brief explanation on the four elements and why they affect exposure. Light is most probably the most important factor to exposure. Lighting to a camera is what water is to us human beings. There is a fine line between good and bad pictures and this fine line is actually the use of appropriate lighting itself. Learning how to manipulate light as well as knowing what good or bad lighting is, is part of the learnig process of photography and it takes lots of experience and time for even professional photographers to master it. The point here is to understand the importance of lighting when you take photographs. Use a lens hood when you’re out on a sunny day and the sun is blazing above or make use of natural light like the sunlight from the window or flash when it’s dark indoors. Light can create different atmostpheres in the setting of your picture, by highlighting textures and colors and creating shadows. So be sure to make full use of it appropriately when you’re taking a picture. Do not be afraid to try different things by angling yourself in different positions to get the right lighting! This brings us to our second factor, shutter speed. Shutter speed is a setting on your camera that controls the speed of your shutter(haha duh). The shutter of your camera determines the amount of light that reaches your film or digital sensor. See it as a window to your camera. The longer the window is left open, the greater the amount of light that goes into your camera. Hence the slower the shutter speed, the more light falls on into the camera, and the brighter your picture ends up depending on how you combine all these four elements to get the right exposure. 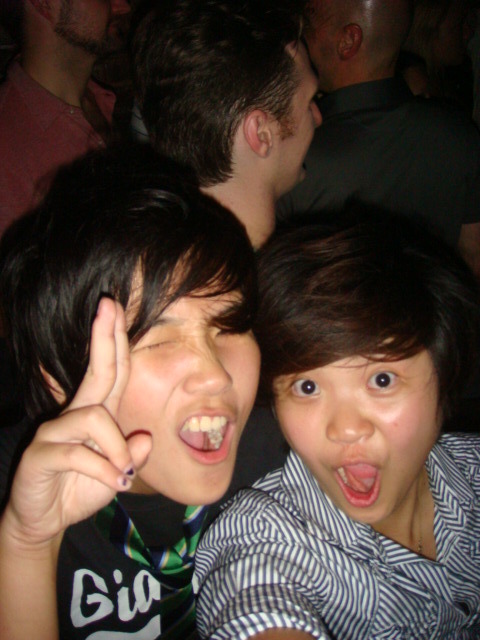 For example, if you would wanna take a picture on a night, you can try using a shutter speed of 1/2 to 30 seconds. Now that you have a better understanding of manipulating your camera’s shutter speed for different scenes (remember to do lots of pratice and trial and error), let’s move on to aperture. Let me scrap using all that technical terms of f-stops and lens and explain in simple terms about aperture. Aperture controls the amount of light that is allowed into your camera. Remember the analogy of a window in your camera? While shutter speed controls how long the window is opened, aperture determines how wide or large your window is. A larger aperture means more light is streaming into your ‘window’ while a smaller aperture means less light is allowed through your ‘window’. The smaller the aperture value, the larger the aperture e.g f/2.8(large) vs f/14(small). While aperture is the size of the window and shutter speed is the length of time the window stays open, ISO(International Organization for Standardization) is the blinds or curtains that you put behind your window. It determines how sensitive your film or digital sensor is to light. The common ISO ratings for a digital camera are 80, 100,200,400,800,1000. The greater the value of the ISO rating, the more sensitive it is to light.